I grew up in Michigan but have lived all of my adult life in Los Angeles. I love nature, I try and get away every few months to re energize in it. I love Ojai and Summerland, California. When I want to get back to my roots, I head to Northern Michigan; the air, water and forests there are truly magical. I am fascinated with fragrance and scents – there is just something so powerful in our associations, memories and connections to them. I collect tons of apothecary goods and have found for me – setting intentions with specific scents on meor burning adds such a powerful layer to the ritual. I love what I do, but when I am not working, I spend time with my dearest friends, exploring new restaurants and reading. 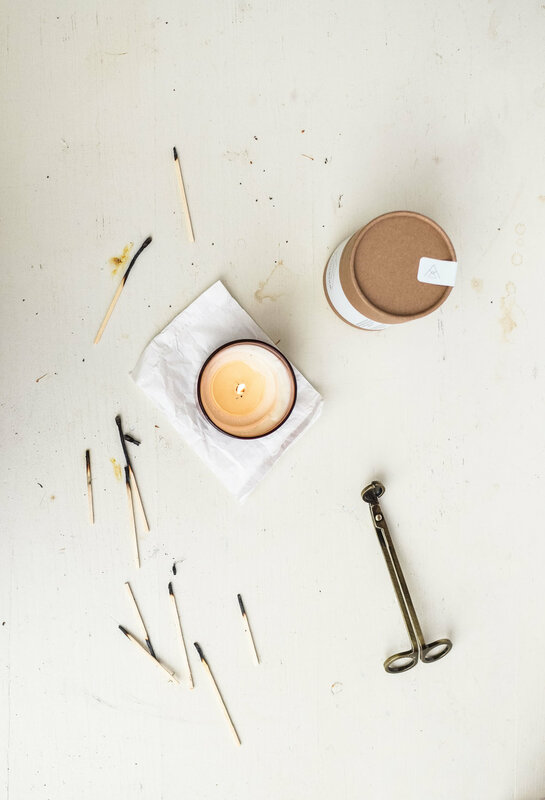 APOTHENNE LA is an independent candle and apothecary studio based in Los Angeles. Our candle collection is handcrafted with 100% non-GMO soy wax, beeswax and lead-free cotton core wicks. We use a blend of essential oils and phthalate-free fragrance oils. Our products are ethically produced and are free of preservatives, additives, dyes, phthalates, lead and petroleum. Each Apothenne candle is developed and hand-poured by me and our small team. It is a collection that speaks to the imaginative alchemist, the makers, the retailers and consumers who desire and deserve cleaner, artisan focused, luxurious candles. Apothenne was founded over two years ago, it began as a passion project with a dear friend and has slowly morphed into an incredible business. My background as retail store owner and buyer was a natural lead in to developing the brand and bringing it to market. That coupled with this lifelong obsession for fragrance and scents – I knew I would find myself in this space eventually in career…and here we are. I don’t believe we are re-inventing the wheel over here! Candles, like a few other great things (like wine and coffee!) have stood the test of time. They are functional as well as beautiful and simplistic. With the collection we hope to awaken your senses, evoke nostalgic memories and add a little love and light to your space. We believe in giving back to our community and inspiring change with our brand. We have a new sector to our company called “Pouring with Purpose”. Each season, our team will devote our candle creativity to purposeful philanthropy. We are select nonprofits and causes that speak to us on the most heartfelt level — missions that move us — organizations and people that are creating meaningful change in this world and we create a candle for them to use as means of fundraising and donor gifting etc. My personal favorite is our French Garden, there are notes of fresh fir, lavender, ylang ylang, tomato flower and amber. It’s really clean and fresh. But our best seller is Lake House; people are so attracted to it – it’s fascinating to watch them smell it and recall the memory it is evoking for them. This is the most rewarding part of my work, those moments.